This comparison just doesn't get made enough. It is truly magnificent as to how similar these products are. People are often torn between which one to buy? Which one is better? Which one is more effective? Which one is worth the money I pay? Well I am going to answer these questions for you. Let’s look at what you get with each kit. Now, you have ready my previous posts, I have talked about what these consist of in depth. But here is a brief summary. Sheer cover offers an introductory package to try it for £29.99. To receive it in the post every three months, you can pay £19.95 a month which is £59.85. If I am going to cut it short, I can tell you now that Sheer Cover gives you more for your money and the product is great for all skin types. 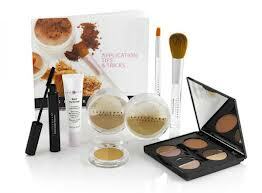 Bare Minerals is cheaper, and the starter package does last (more or less) 3 months also. In addition, the amount of product in the foundation is more in comparison, but this may be because the foundation powder is also used a concealer. They also have the option to buy matt and satin finishes. 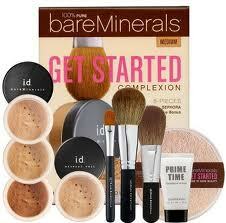 Sheer Covers a lot more to create an entire look as for Bare Minerals; it is just your foundation and contour. Advertised to be good for aging skin also. What are your opinions on what is better? Have you had any recent updates with your experiences with Sheer Cover? It would be great if you could drop us a comment on your experiences with Sheer Cover on our site to share with our readers. We are trying to find as many "real" reviews from people to better inform buyers on whether it is good buy or not.